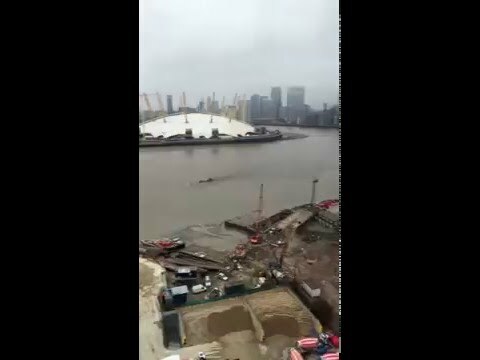 A video that was posted to YouTube recently on the Penn Plate channel shows a very strange looking “Loch Ness Monster” type of creature swimming along the River Thames. In the background you can see the Millenium Dome, then there is a disturbance in the water and a large dark thing rising out and going back down again. It is very hard to tell now days with all of the amazing visual effects software out there, if this is a real image, or a cryptozoology mystery… or a weird submarine. Take a look at the video yourself and decide. Puppet on a String or a Cryptid? Undiscovered Species or Pet Iguana on the Loose.